Home > Credit Card Reviews > What Are Prepaid Debit Cards? A prepaid card is an alternative to a debit or credit card. It only allows you to spend up to the amount of money you load onto it. Prepaid cards are safer than using cash and like other types of credit and debit cards, can work at any merchant that accepts its payment network such as Mastercard or Visa. Unlike typical debit cards, you can’t overdraw funds from a prepaid debit card. You can only use the amount of money you put onto the card. This is one strategy people use to keep from using credit cards and falling into debt. 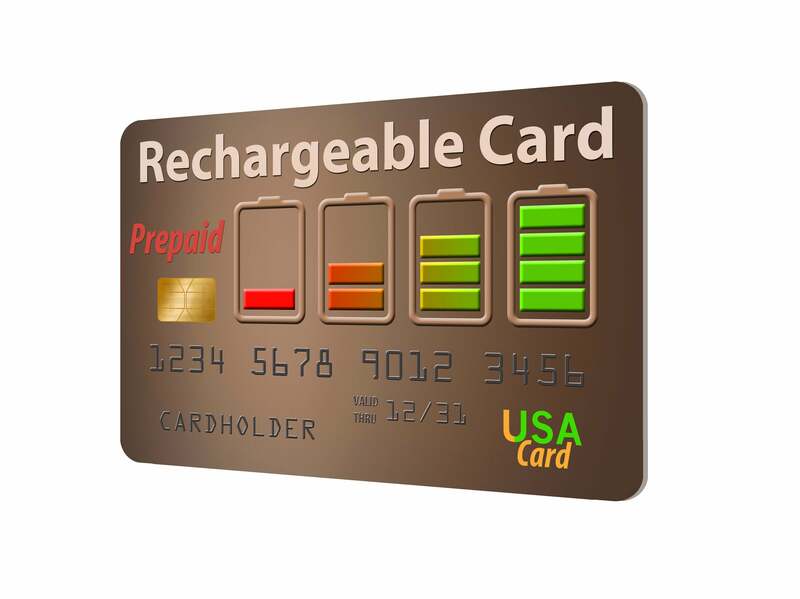 A lot of prepaid debit cards charge monthly fees, including fees to load your card with money. A lot of cards allow you to set up a direct deposit and if you deposit more than a monthly amount onto your card, these fees can be waived, depending on the card issuer. Why Would You Want to Use Prepaid Debit Cards? Prepaid debit cards are convenient. Many people also use them to gain control of their finances, avoid overspending, and avoid overdraft fees. It’s important to note that when you use a prepaid debit card, you’re not building your credit. How Can You Get a Prepaid Debit Card? Getting a prepaid debit card is simple. Hundreds of popular retailers sell them, like Wal-Mart and Walgreens. It’s a good idea to see what different prepaid debit cards have to offer so that you can pick the one that’s right for you. You will also need to provide proof of identification. Some card issuers allow you to link it to an existing bank account. Some cards also let you give family members access to funds on these cards and will issue you extra ones to give to them. What are the Pros and Cons of Getting a Prepaid Card? You don’t have to carry cash. The card can help you develop good spending habits and keep you from over-spending. It allows you to set a limit on just how much your child can spend in a given period. These cards don’t hold your personal data such as SSN or bank information making them safe from identity thieves. They don’t help you build your credit score or history. They don’t provide you with any advance or credit. Some come with considerable fees. The 24k Prepaid Visa RushCard© offers you online shopping and in-store purchasing options without needing a credit check. The best part of this Visa prepaid card is that you can use it anywhere that accepts Visa debit cards. There’s no minimum balance required and you can pay your bills online. The Carbon Prepaid Visa RushCard© is fairly easy to sign up for and secured by MetaBank. Not only does it offer you easy reloading options- cash, checks or direct deposits, but you can also transfer money to other RushCard members for a small fee. Additionally, the card gives you real-time usage alerts, so you can easily keep track of your spending and card activity. The Green Dot 5% Cash Back Visa Debit Card is great because it offers cash back rewards. Earn 5% cash back on purchases – up to $100 per reward year. You can also track your card activity, balance and spending using the user-friendly mobile app. You can even deposit checks using your smartphone. If you’re particular about your spending or would love to make better financial decisions, then getting a prepaid debit card is one of the most practical decisions you can make. Not only will you be spending money that you have already earned, but you won’t be tempted to overspend and find yourself in a deep hole due to overdraft charges. They’re secure, easy to apply for and convenient to use. At publishing time, the 24K Visa RushCard, Carbon Prepaid Visa RushCard, and Green Dot 5% Cash Back Visa Debit Card are offered through Credit.com product pages, and Credit.com is compensated if our users apply for and ultimately sign up for any of these cards. However, this relationship does not result in any preferential editorial treatment. This content is not provided by the card issuer(s). Any opinions expressed are those of Credit.com alone, and have not been reviewed, approved, or otherwise endorsed by the issuer(s).